Samantha Khandakji writes about how she came to see natural disasters as forces that pose additional public health and safety hazards for women. Disaster evokes images of search and rescue teams in dire conditions, displacement to evacuation shelters, and provision of basic necessities like food and water. During such chaotic times, other immediate needs of displaced populations, especially displaced girls and women, may be overlooked. Even in U.S. emergencies, basic health needs related to menstruation are not prioritized. Before coming to Mailman, my understanding of emergency response was limited, mostly informed by growing up in South Florida through annual hurricane seasons. There, I watched from afar as hurricanes devastated island nations, but caused just a few weeks of inconvenience to Floridian residents like my family. 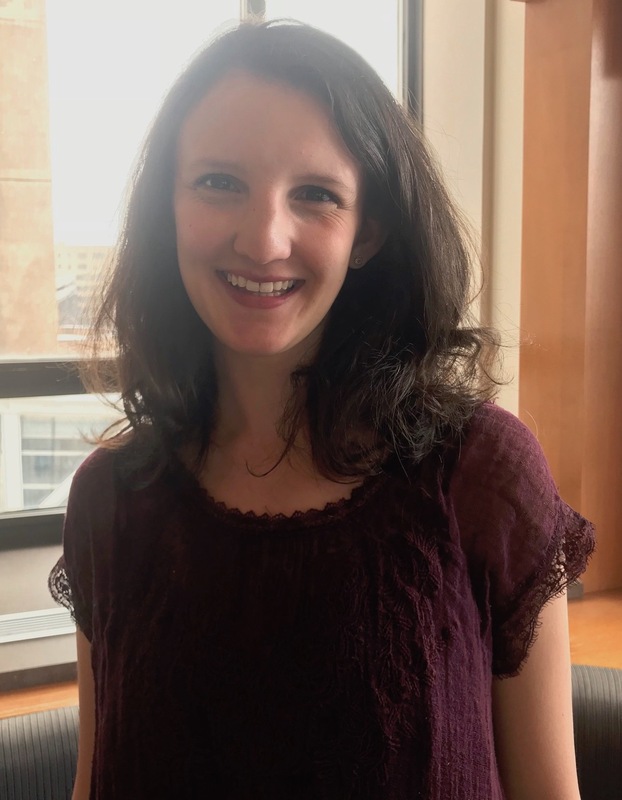 As a public health student, I was introduced to humanitarian emergencies during my practicum with the Lerner Center for Health Promotion and Professor Marni Sommer, whose research examines the Menstrual Hygiene Management (MHM) needs of girls and women around the world. MHM includes various components such as the provision of tampons, pads, and safe facilities to ensure that girls and women can manage their monthly periods privately, comfortably and safely—a rarity in many places in the world. Throughout my practicum, I helped build the MHM Emergencies Toolkit with the International Rescue Committee and assisted with the 6th Annual Virtual Conference on MHM and WASH in Schools in collaboration with UNICEF. During this time, I still only considered the necessity of an MHM response to countries outside of the U.S., as this is where much of the work has been done and continues to progress. I never considered the need for MHM interventions in the U.S., one of the wealthiest countries in the world. After reports of mass displacement in Texas due to Hurricane Harvey in late August 2017, however, my conceptualization of MHM challenges faced by girls and women in the U.S. changed. In just 40 hours, Hurricane Harvey went from a tropical depression to a major category 4 hurricane. This rapid increase in severity challenged preparations of individuals and agencies in the path of the storm. Producing excessive rainfall and historic flooding, approximately 60,000 people were displaced from their homes after the storm made landfall. As I watched the events unfold, I could not help but wonder if the menstrual needs of girls and women staying at shelters were being addressed. If the population makeup of those displaced reflected national averages of females of reproductive age, about 25 percent of the displaced population could have the potential to experience menstruation during a month of displacement. U.S. emergency response requires coordination across an incredible range of actors. FEMA and the American Red Cross address necessities like shelter, environmental response and safety, search and rescue, protection, public health, and emergency medical services. Within this expansive network of emergency responders, MHM can be overlooked. At the very least, MHM-related efforts are absent from reports. The American Red Cross, for example, does not highlight provision of feminine hygiene products in its list of health services and basic supplies which include first aid, refilling lost prescriptions, and replacing eyeglasses. Despite the lack of visibility on MHM being prioritized by national organizations, I was excited to see local efforts to provide MHM items to those displaced by Hurricane Harvey. I Support the Girls and other non-profits collected MHM-specific items such as tampons and pads for girls and women. In addition to feminine hygiene products, supportive items are also necessary to ensure adequate MHM; well-fitted underwear, for example, is a must, as pads attached to poorly-fitted underwear may not catch blood as effectively. 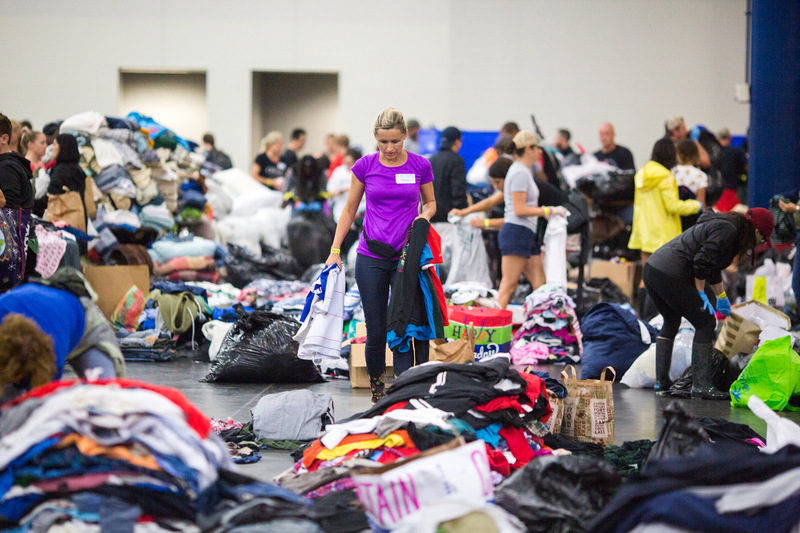 Six days after Hurricane Harvey made landfall, over 10,000 people took shelter at the George Brown Convention Center, which is double its capacity. Emergency shelters are not constructed to provide a sense of privacy. Overcrowding limits access to toilet use and prevents girls and women from discreetly managing accidental stains on cots or clothing as a result of their menstrual cycles. Quality of toilet facilities, such as the accessibility of trash cans in stalls, may also have negative implications on toilet functionality, as girls and women may flush used MHM items down the toilet, contributing to clogging. Although much about MHM responses in U.S. emergencies can be implied from context, there is a lack of direct documentation about the MHM experiences of displaced girls and women. Disasters displace millions of people around the world, but displacement in the U.S. is not something to be overlooked. We must work to improve the quality of humanitarian response, especially in regards to the MHM needs of girls and women. Samantha Khandakji is a second-year Sociomedical Sciences MPH student and a Lerner Center Fellow. She received a BS in Applied Physiology and Kinesiology, and an MA in Arts in Medicine from the University of Florida.